To all our European AKKI Members (and U.S. if interested)and all kenpoists from around the world. at the City West Hotel/Conference Center/Golf Resort in Dublin, Ireland. 500 divisions of competition over 3 days. Over $20,000 in Awards, Cash, Prizes. 20 Grand Championships, 7 World Titles. 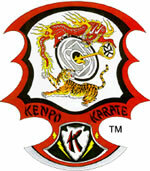 Weapons, Forms Divisions, Expanded Kenpo Forms divisions for Black Belts and underbelts (all ages). Great Self Defense Divisions, Point Sparring, Continuous Sparring, King and Queen of the Ring Sparring. Also have Full contact and K-1 Rules Kickboxing. Go to www.womaa.com for all games and hotel information and online pre registration forms. (U.S. competitors must be a member of Team America to compete). World Games in Dublin, Ireland a huge success, many countries and competitors, was very disappointed that not one AKKI kenpo person showed up, Had Kenpo from Jersey Islands, but none from Ireland, England, etc. I contacted all kenpo groups, AKKI, IKKA, EKKI, etc. but not one? Even had kenpo divisions for underbelts, black belts, etc, and self defense divisions, etc. Very disappointing that fellow kenpoists don't support other kenpoist's endeavors. thanks for listening to my venting. AKKI Mid Atlantic Reg. Dir.